Not too big, not too small, not too hot and not too cold. A newly discovered planet seems fitting to accommodate life, according to a group of international astronomers. Orbiting a star located about 500 light-years away, the planet called Kepler-186f is similar to the size of Earth. It orbiting the star at the right distance for water on the surface, which is essential for life. 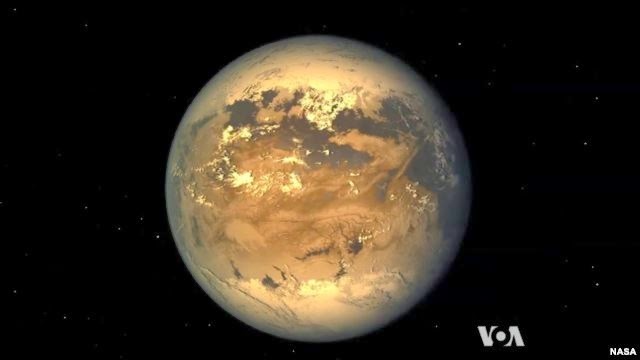 According to Elisa Quintana, a NASA planetary scientist, it is not similar to the Earth. "More to the Earth cousin, not the Earth twin. Similar characteristics, but the parent star is very different," she said. Mentioned that Kepler-186f orbiting the smaller and cooler stars than our Sun. However, in a paper in the journal Science, the astronomers say the planet appears relatively close compared to most of the hundreds of planets that have been discovered so far. That some of them are covered gas giant planet with a thick atmosphere, while others orbit so close to their stars and are too hot for life. The two planets were discovered last year is in the right orbit and may be good candidates for life, Quintana said, but it was bigger than the Earth. "For the first time, we can say that we now have a planet the same size as Earth and orbits within the habitable zone of a star," she said further.